Located within the Le Grande National Park is Lucky Bay, highly recommend getting via the 20 km long beach run rather than the 68 km highway route! Once you see the beach you will realize how "Lucky" we are to be living in a beautiful country that has awesome beaches like this one and it doesn't stop there. 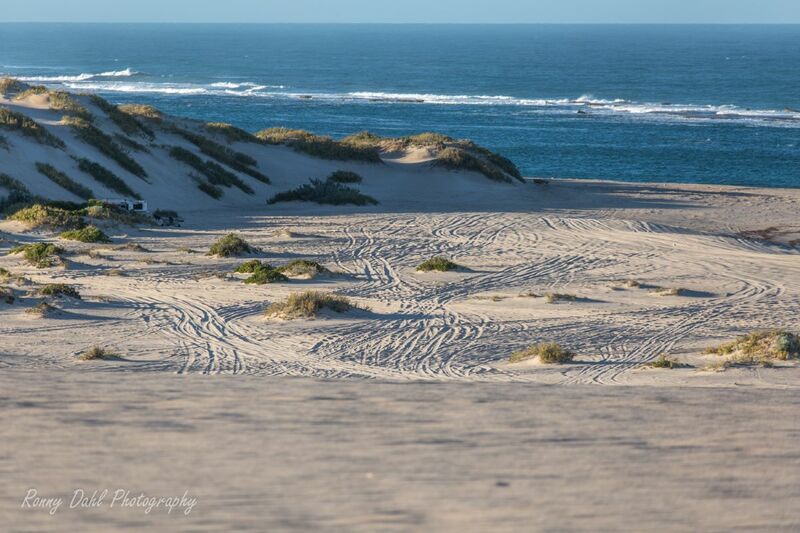 It has 4WD access to the beach and a camp site with running water, power and flush toilets. The camp site is nearly right on the beach (only 20 meters away from it). Great place for the family & kids as the waters are nice and shallow. The beach is voted the whitest beach in Australia which is a big statement considering all the other beaches in Esperance we have been to were so clean with talcum like white sand, it’s up there with the best that is for sure. Lucky Bay is a must visit place and somewhere in a travel magazine or on TV you would have seen a photo of a Kangaroo on a beach, well guess what, here is one I took! Lucky Bay being very popular will always be someone else on the beach which is not really an issue as the beach is more than a 2.5km long. We visited twice (two days in a row) on our 5 days in the area, we went for a surf, swim, fishing and general relaxing on the beach and explored the rocks to the east on foot. Driving over the rocks is not allowed or possible in a safe manner anyway, so don’t attempt it! Walking over the rocks to the other side we would recommend for fishing given more rocky terrain at the eastern side. Hard sand beach, which still requires 4WD to avoid sudden tides and track/beach damage. 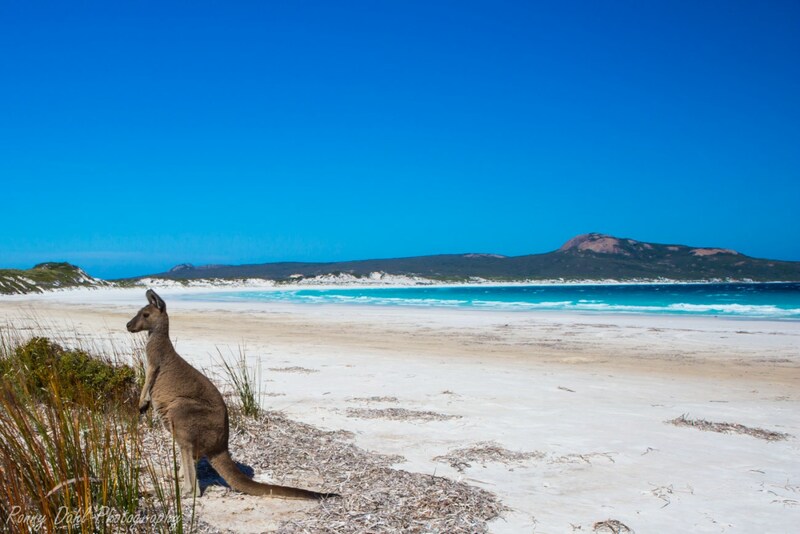 Do not speed along the beach as walkers, other 4wders and kangaroos will be sharing the beach with you. Remember the safety of your passengers, vehicle and your own well-being is your responsibility! The warmer months are best to make the most of the beach, so anywhere from late October to April. For Other 4x4 Tracks In The Esperance Area See Here. 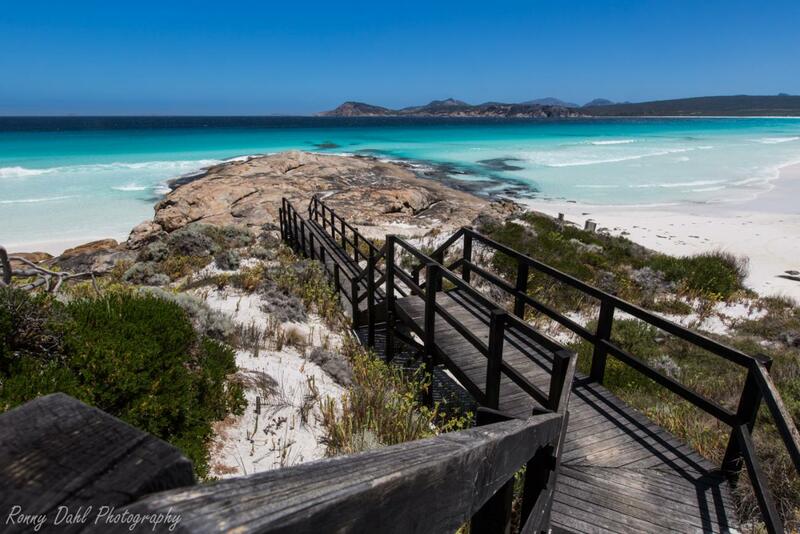 Leave Lucky Bay And Go 4 Wheeling In Western Australia.